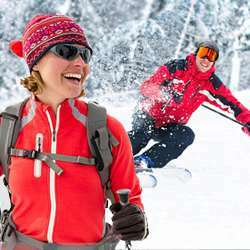 You must be a member of the Istanbul Skiing & Snowboarding Group to attend this activity. Would you like to join this group? •2 Days Skiing at Mt.Ilgaz National Resort & 1 Night stay at the hearth of The Kastamonu City in an Ottoman Mansion highly recommended by Trip Advisor & by last year's IN group of ILGAZ ;) If the rooms are ready, early check~in to rooms on Saturday morning after the bus ride & arrival to Istanbul before midnight on Sunday. •A unique guided cultural trip for non~skiers or for the ones who wishes not to ski on the arrival day. •Slopes of Ilgaz National Park. Intermediate & Advanced (5 slopes, 2.5km in total). Beginners (2 slopes 50m&100m). WITH ITS MOUNTAINOUS FORESTS AND RICH LIVING CULTURE, MT.ILGAZ AREA OFFERS AN EXTENSIVE WORLD TO DISCOVER FOR SKIERS. No matter living how far, every Turk—even if some may not even know its exact whereabouts—will immediately recognize the name of Ilgaz, due to a popular elementary school song beginning with the line Ilgaz, thou art a sublime mountain of Anatolia... A region that was quiet famous in our childhood but we had never been to... becomes tangible this weekend as we head towards to the mountain and to the region boasting canyons, highlands, natural beaches and ski resorts. It has something to appeal to every taste. With comfortable accommodations and two large ski runs, and convenient proximity to Istanbul, recently, Ilgaz has become Turkey’s rising star of winter tourism. The winter sports area is situated between the elevations of 1,750 and 2,010 m. The national park is centered around the Ilgaz mountain range, which sits right on the geographical and ecological border between the gently rolling Black Sea Region to north and the windswept hills of Central Anatolia to south. Its immensely verdant spruce forests are easily distinguishable no matter which direction you are approaching from, but they are in an especially stark contrast with the dusty plains and hills to south—if you were just passing through, you could swear you saw that solid line which divides what is called as "the sea of trees" above from the eternal steppes below. We will be using the slopes of Ilgaz National Park Resort. Our overnight stay will be in a boutique Ottoman Mansion in the hearth of The City of Kastamonu which is 20km away (40min. bus ride) from the resort. Non skiers can stay in the city and experience Kastamonu culture with a professionally guided cultural trip in that beautiful old Ottoman city. Non skiing skiers can also join to skiers and go to Ilgaz National Park to spend their time in cafes & lobbies of 3 hotels located in walking distances at the resort. Join us for a great weekend trip to catch the last enjoyable moments of ski season, for health, fun, friendship & laughter.